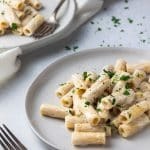 Creamy roasted garlic rigatoni is OMG completely vegan! This recipe takes a little prior preparation, but it’s all as easy as pie. You know that moment when your mind is blown and you’re never the same again*? It’s happened for me a lot during my three plus decades on earth. A few particularly memorable “mind blown” moments include when I realized that the FedEx sign has an arrow in the middle. Or perhaps when I saw Mad Max: Fury Road and recognized a grown up Nicholas Hoult as the chubby, young kid who makes friends with Hugh Grant and raps to Mystikal in About a Boy. And of course I can’t forget the day someone told me that birds (an irrational fear of mine) are just today’s dinosaurs (fear = rationalized). 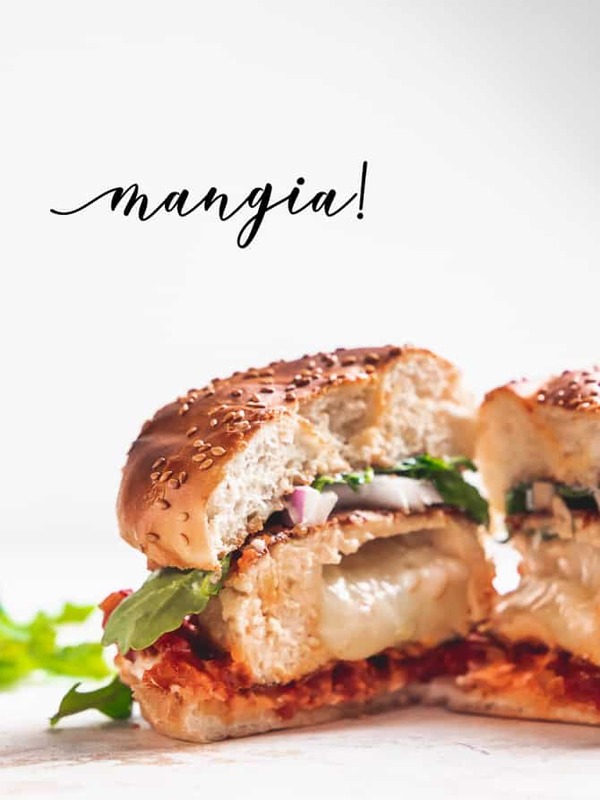 But one realization that was less of an “aha” moment and more of a slow burn was the idea that vegan food could be satisfying, indulgent, and comforting. Notice I didn’t say “delicious” or “tasty”, as it didn’t take me long to figure that one out. I had eaten lots of vegan food that did indeed taste very good, if not excellent. But these dishes always lived squarely in the leafy, green family. So those more decadent food adjectives weren’t really in their lexicon. 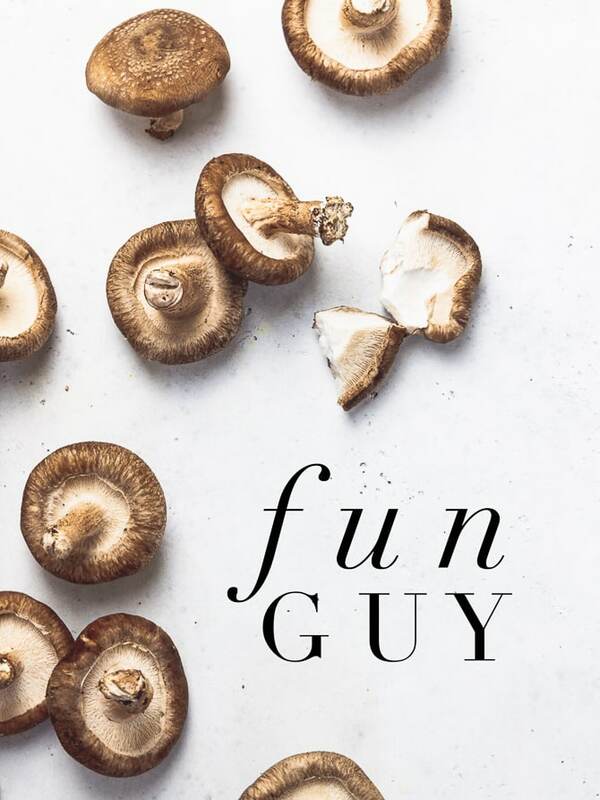 When I think indulgent (and I’m not sitting in front of a massive plate of brownies) I’m typically picturing something involving lots of dairy. 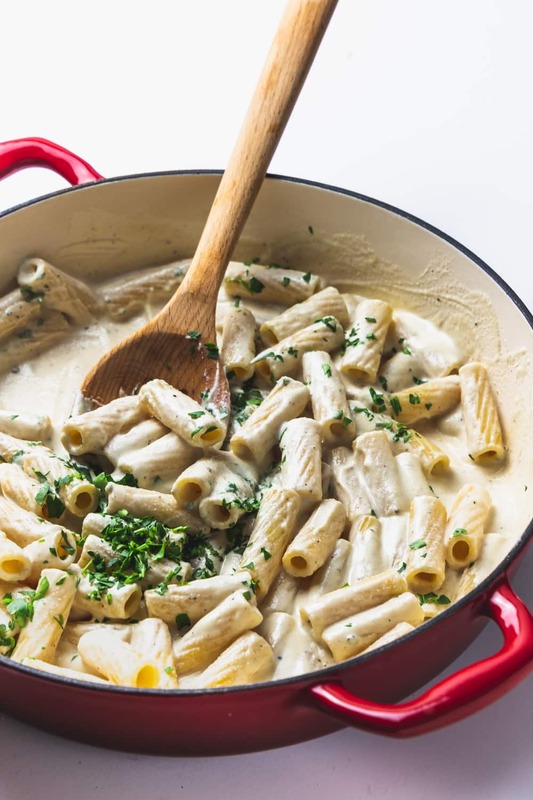 Cheesy, creamy sauces, draped over buttery noodles really gets me going. And that sure as heck fire isn’t vegan. But guess what are? Cashews! Cashews – making all my vegan dreams come true. Now, as I’ve discussed before, I’m not a vegan – not even vegetarian. But I do very much enjoy certain dishes that fit into those categories. Of course the health factor plays some role, but ultimately I don’t have time to waste on any food that isn’t delicious, regardless of how pious it might make me feel in a given moment. But on the occasion that I can merge the concept of “plant based” with that of a lush and gratifying dining experience – well that’s a great day. And that’s where my good friend the cashew comes into play. It makes perfect sense. It’s such a savory, pleasant tasting nut to snack on. But give it a quick soak, and an even quicker blend and you’ve got a creamy, dreamy, foundation for almost any flavor. Hell, I even make gravy with it at Thanksgiving, and to be honest I much prefer it to the traditional turkey stuff. But gravy is not on the menu today, friends. 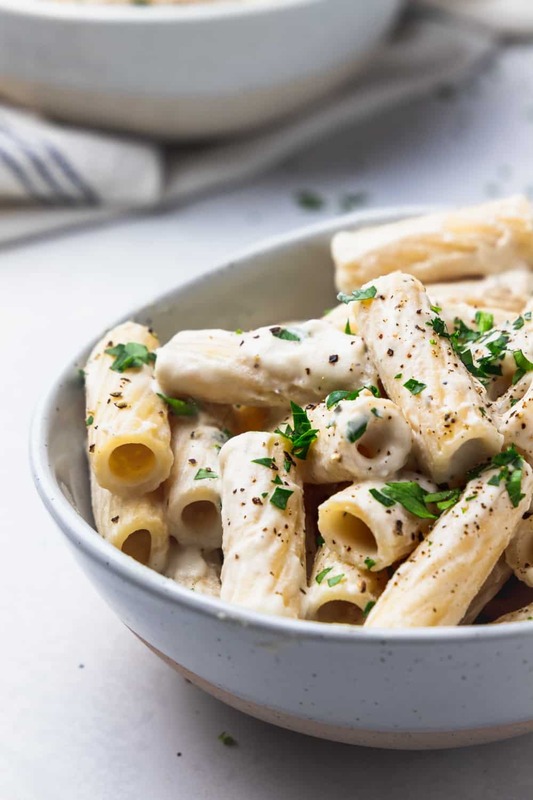 Today is all about that ultimate comfort food – pasta. If I were to describe the flavors of this, the word “vegan” would never pass through my lips. Instead I’d say it’s savory, rich, unctuous, velvety, warm, heady with sweet, roasted garlic, and just a bit tangy from a squeeze of lemon. It’s sort of like alfredo, but with the volume pumped up. And of course, it’s vegan. But that’s just a bonus. 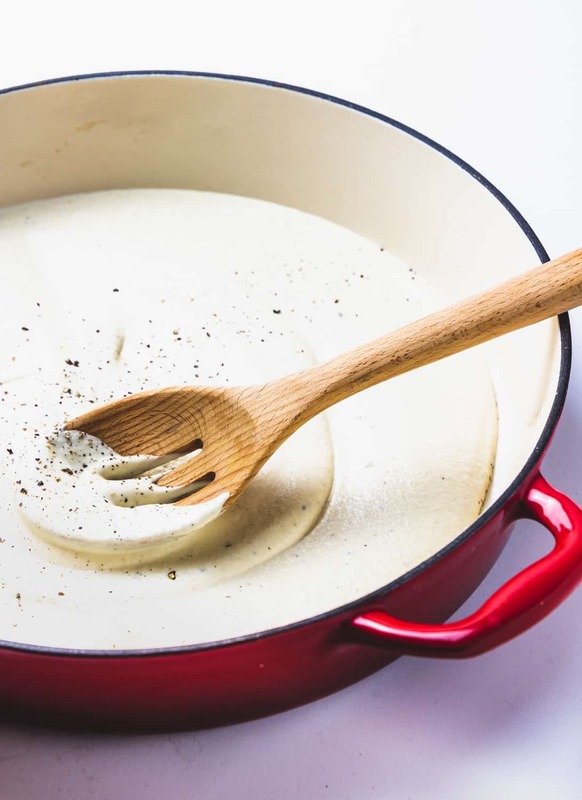 Honestly, the real beauty of this recipe is how it completely transforms a couple of very simple ingredients into a beautifully nuanced dish that’s simple, elegant, but still indulgent and comforting. Beyond boiling water for pasta, there are two main components to cover. Both are about as easy as pouring a bowl of cereal, but they do take just a little planning. Here goes. This is an important step. 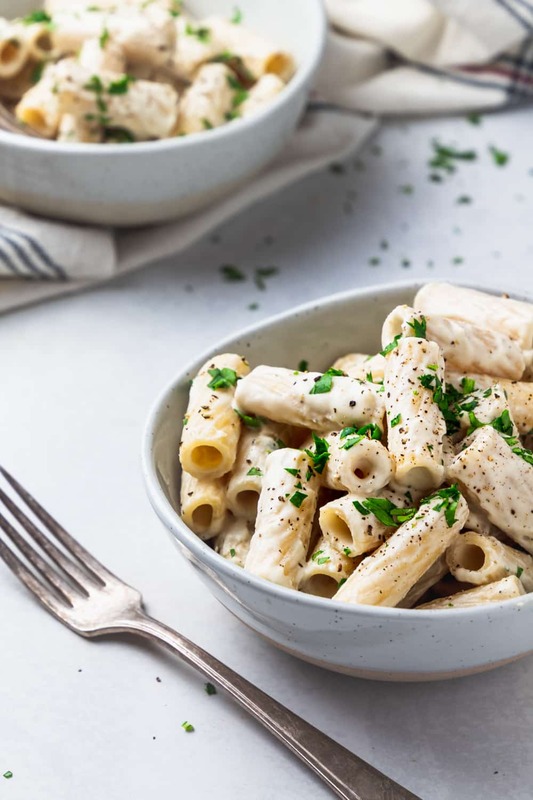 If you don’t pre-soak your cashews before you blend them, you’ll get cashew butter, which is great, but not really what we’re after for our roasted garlic rigatoni. So a couple hours (or the night before) you want to make this, just throw your cashews in a bowl and add enough water to completely cover them. Then pop them in the fridge and that’s it! 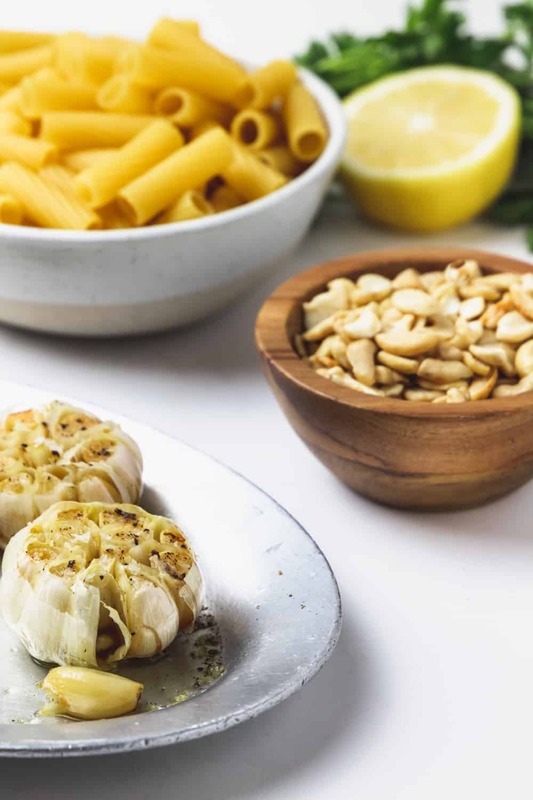 Now that we have our cashews ready to blitz into a creamy, dreamy sauce, let’s move on to the garlic. When you put garlic in an oven for a half an hour, it really transforms in front of your eyes. What was once sharp and pungent becomes mellow and almost sweet. And once you’ve softened its rough edges, you can use it in a myriad of ways. Smeared on toast, stirred into mashed potatoes, or in this case buzzed into a creamy sauce to drape over perfectly al dente pasta. The best part though is how easy it is. 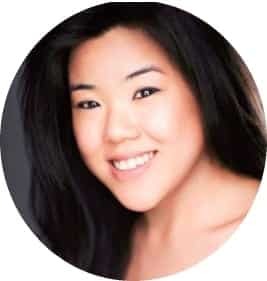 Preheat your oven to 400°F. Slice the very tops off the whole heads of garlic, just so the cloves are all exposed. Drizzle with olive oil and season with salt and pepper. Wrap tightly in tin foil. Then bake for 30 minutes. Let cool and then squeeze out those juicy little jewels of perfectly tender garlic. 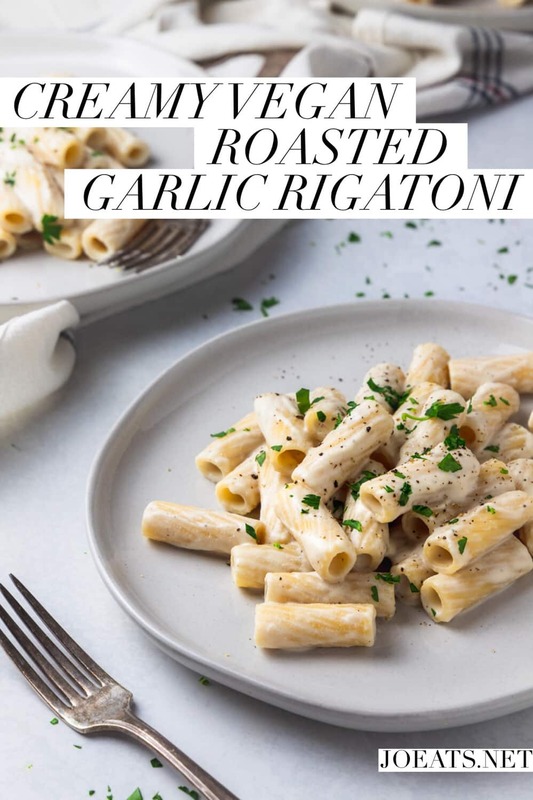 I recommend making more than you need for the roasted garlic rigatoni. Those leftovers are gold, and you’ll use them up – trust me. 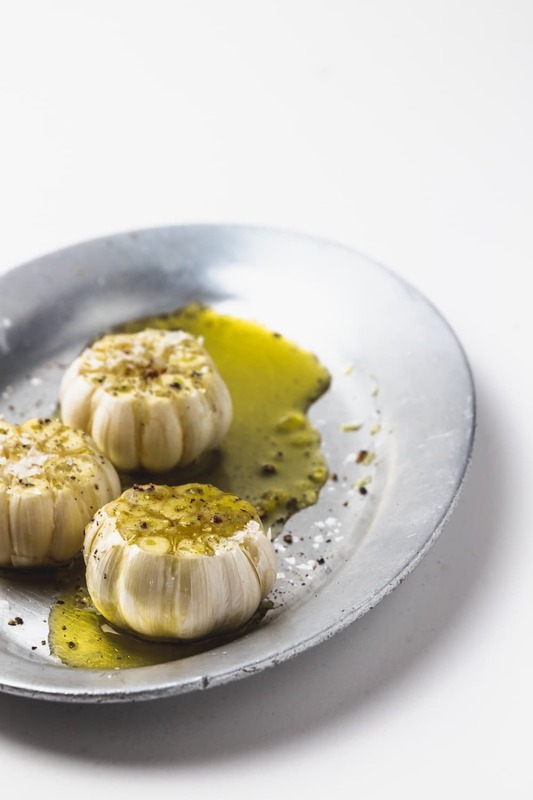 To store them just squeeze the cloves into an airtight container and then pour over enough olive oil to cover. Stash that in the fridge for up to a week and enjoy that heady, garlicky, sweet stuff whenever you want! Once you’ve got the cashews and garlic all sorted, the rest is as easy as dumping everything into a blender and hitting ‘go’. 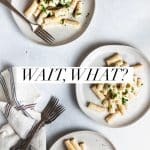 So now that you’ve got the goods AND the know how (very important) you can host a vegan dinner party (or really any dinner party) knowing you have an easy, elegant, comforting, and satisfying recipe in your back pocket that will elicit a lot of ooh’s and aah’s, and even a “wait, what? This is vegan?” or two. 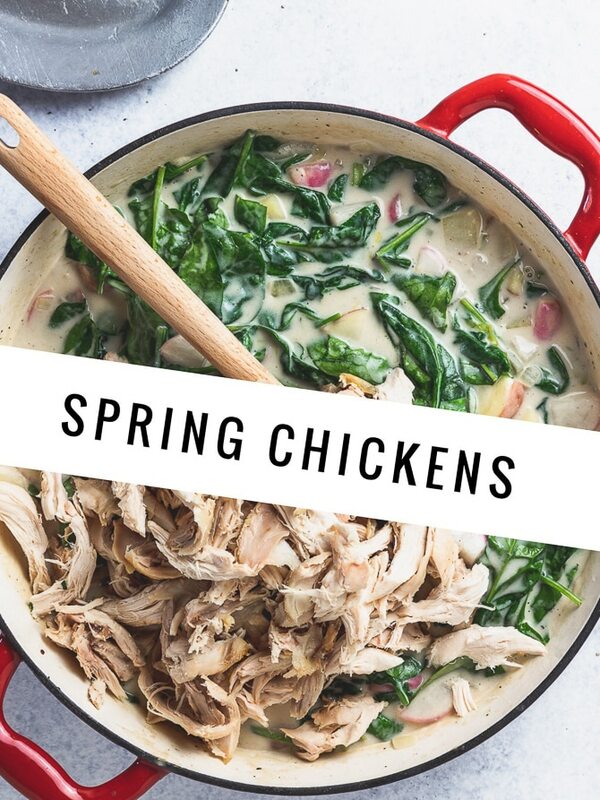 Or if you’re like me and can only handle so much outside socialization in the course of a week, you can make this all for yourself, curl up in front of the TV and enjoy a quiet moment with a bowl of something indulgent that’s actually pretty #healthyish. If you make this beauty of a dish, please snap a pic and tag me. 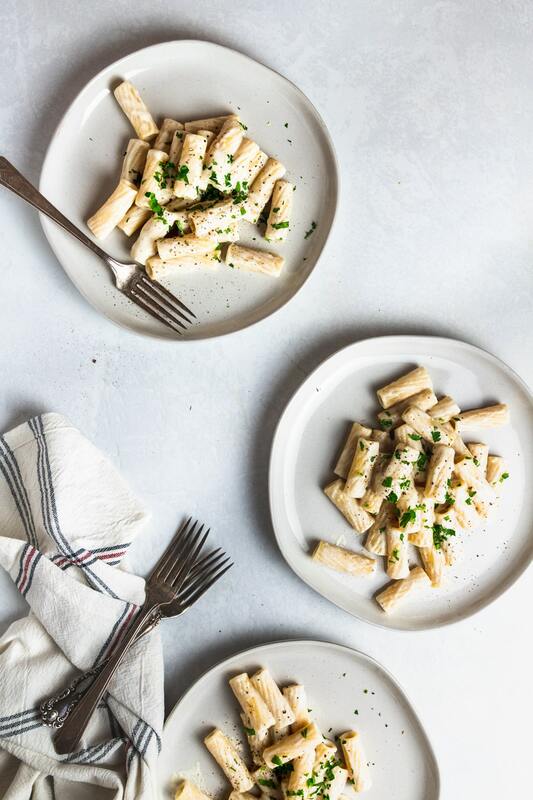 One, because I can’t eat pasta all day everyday and so I enjoy living vicariously through you, and two, because I love seeing you guys out there enjoying my recipes in the wild. Happy Tuesday! *Ok, maybe this is a tad dramatic.